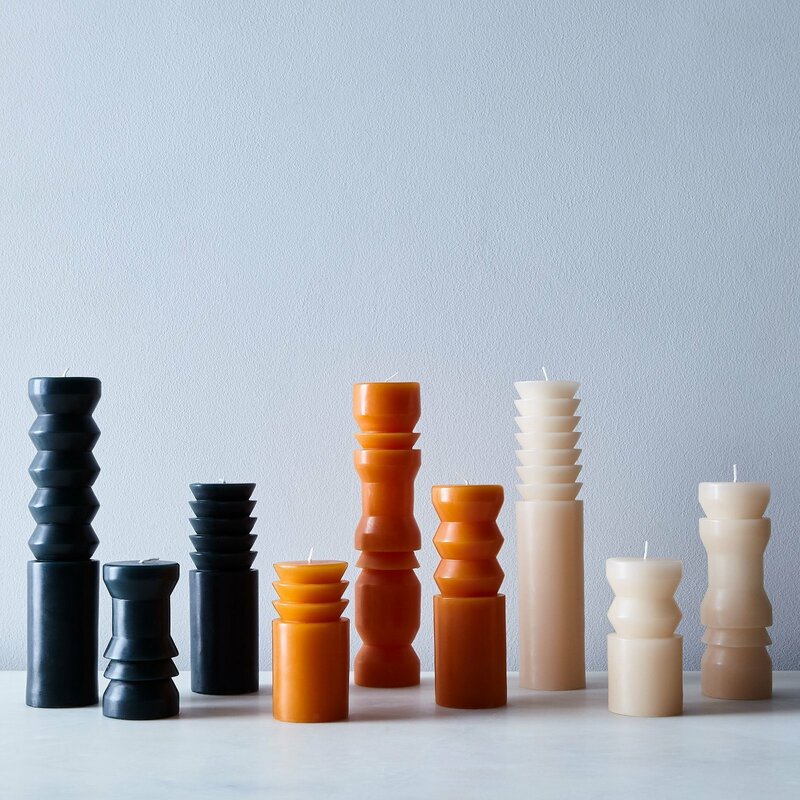 These sculptural candles made from unscented paraffin wax are so pretty we almost don’t want to light them—they’re like small artworks unto themselves (the candle forms were originally created by turning beeswax on a lathe). Mix and match them and tuck them in a windowsill, on a bookshelf, or on your nightstand. Size: Small: 2" in diameter x 4" H; Medium: 2" in diameter x 6" H; Large: 2" in diameter x 9" H. Each set of 3 includes one of each size.